Unfortunately, far too often in our society manufacturers of consumer and household products choose profits and productivity over the safety of consumers and the users of their products. While there are times where a product malfunctions or does not perform as intended and the manufacturer does not know of the problem, this is not always the case. Many times, the product manufacturer is aware that the product is defective or has reason to believe that a defect exists but simply does not take action to correct the problem and/or remove the defective product from the market. Every year, innocent people, sometimes small children, are seriously and catastrophically injured due to a defective product. Each year, thousands of products are either voluntarily withdrawn from the market or the manufacturer is compelled to recall a product by federal agencies that have jurisdiction over the type of product in question. Many defective products, however, are not recalled or withdrawn and remain on the market for years and years causing more injuries and deaths to innocent victims. If you or a loved one has been injured as the result of using a product or exposure to a product and you believe the product was defective in some way, you may have a viable product liability claim against the designer, manufacturer and seller of the product. It is critically important that you take immediate action to protect your rights. In most situations, the product that is alleged to be defective must be preserved in its post-accident condition so that the parties, lawyers and engineers can examine the product and see if it malfunctioned or is defective. The attorneys at Hollis Wright understand and realize that giving client’s the personal attention they deserve helps them truly understand what the client is experiencing from the injury causing incident. 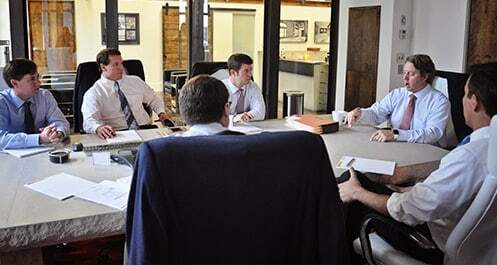 Such an understanding helps our attorneys maximize the value of the client’s case. By hiring Hollis Wright, you will know that you will work with a knowledgeable and experienced product liability attorney who will assist you and fight for you every step of the way until a final resolution of your case. If you sustained serious injuries, then you likely received significant medical treatment and may have lost your ability to work. The manufacturer of the defective product you were using can be held liable for all costs including medical bills, lost wages, damages for pain and suffering, permanent injury and disfigurement. If a loved one died in an accident while using a defective product, then the heirs or family members have a right to pursue a wrongful death claim. The Birmingham, Alabama product liability attorneys at Hollis Wright Law Firm should be consulted today to help you obtain the maximum recovery under the law. Call Hollis Wright toll free at 844-529-8255. Your case will be handled on a contingency fee basis which means we don’t get paid unless we successfully recover money on your behalf. You will never pay us money out of your own pocket.